Everyone Thought This 8 Yr Old Was Too Shy. Now Watch HOW She Silenced Them All—WHOA! Like any other form of art, singing takes years of practice and hard work to perfect. Even if you achieve a certain level of expertise, some voices that are just too hard to replicate. Not many can perform the raspy voice that Adele has, and few can sing powerfully like Beyoncé does. The kid in the following video must have been born with a gift! This video shows little Polly Ivanova. She was just 8 years old when she decided to audition for Bulgaria’s Got Talent. She seemed quite nervous when she got onstage. But she transformed into something totally different as soon as the music began. She started singing Beyoncé’s “Listen”. It is quite a difficult song, but she made it look so effortless that even the judges were in awe! Did this video leave you amazed? Share with all your loved ones! SHARE this incredible video with everyone you know! 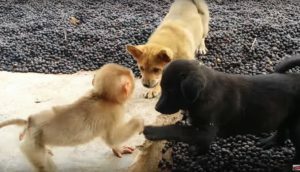 Little Monkey is So Happy Playing with Cute Puppies. Amazing Friendship! 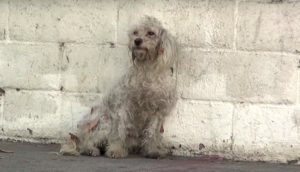 Poor Dog Spent a Lifetime Chained to a Wall. Heartbreaking! 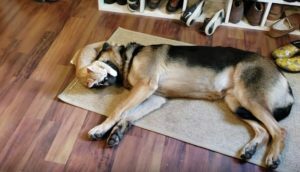 A German Shepherd and a Kitten Became Best Friends. Amazing! 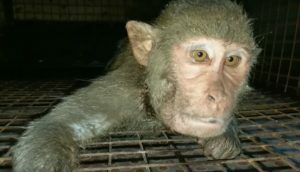 Monkey is Suffering Because of the Wound on Her Neck. Heartbreaking! Homeless Poodle Has Been Hit by the Car. 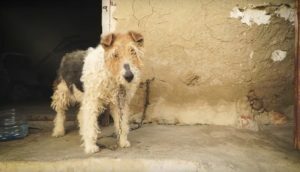 Find out How He Was Rescued.